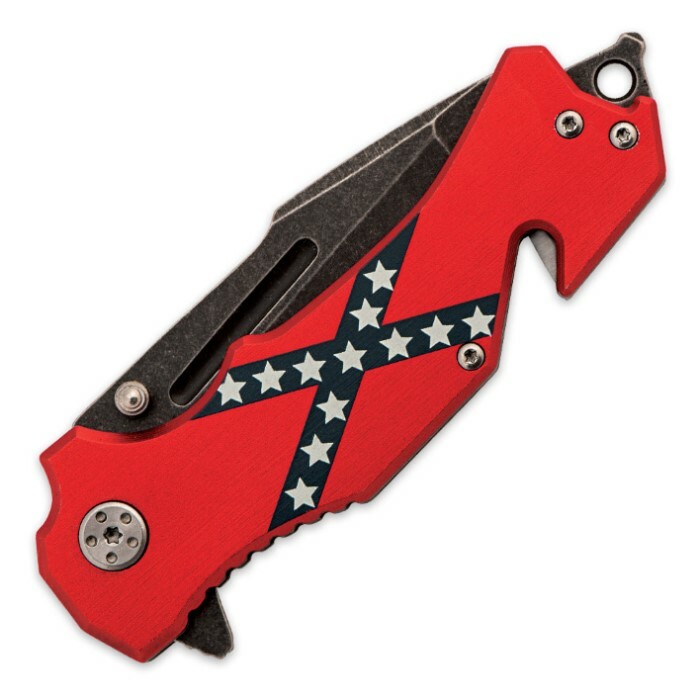 Confederate Flag Folding Pocket Knife | BUDK.com - Knives & Swords At The Lowest Prices! 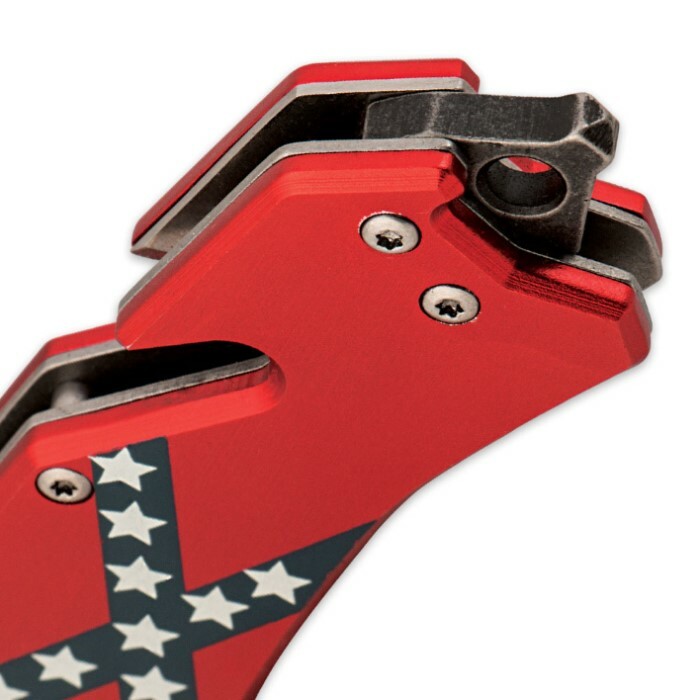 New from Ridge Runner, the Confederate Flag Folding Pocket Knife is a bold statement of your heritage. This exceptional knife has a 3" stonewashed stainless steel blade and a sturdy aluminum handle. The featured artwork is set off by its metallic sheen. This folder is 4 1/2" closed. For seven dollars, this is a nice knife. The item description doesn't do it justice. This is an assisted opening folder, complete with flipper. 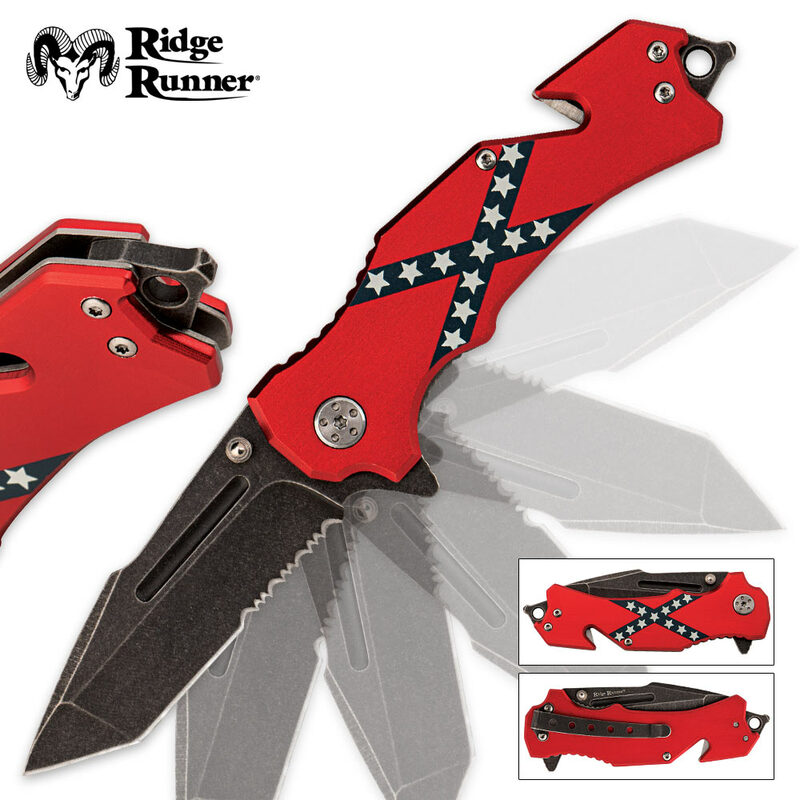 I have a comparable Zero Tolerance knife, and I like the Ridge Runner better! It's sharp. It opens VERY quickly with the flip of your finger. It won't matter if you're left or right handed, works fine either way. Get this knife if you have $7 to burn. They also have an American Flag version, if you don't want the Stars and Bars.